An adiabatic cooler is a fluid cooler. During the greatest part of the year, it is possible to dissipate heat just by making use of the ambient air. 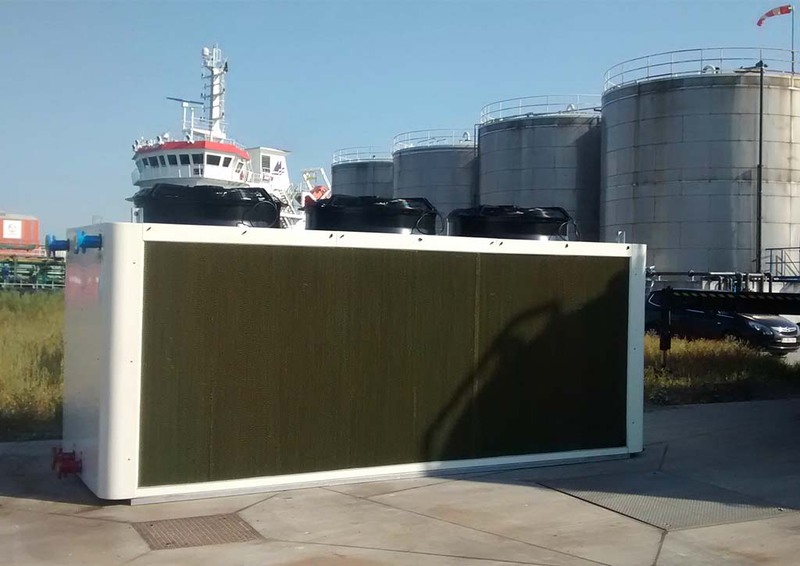 Once the temperature of the ambient air is too high, the unit will automatically switch to wet mode and make additional use of the cooling effect of evaporating water. The AIR A is a dry cooler with adiabatic pre-cooling section. The water/liquid to be cooled arrives in the cooling coil (4) through the inlets for the water to be cooled (5), and leaves the adiabatic cooling tower through the outlet for the water to be cooled (6). Hence, the water/liquid to be cooled does not come into contact with air. The axial suction EC motor fan(s) (1-2) draw ambient air over the pre-cooling panels (3) then over the cooling coil. If the drawn in ambient air is sufficiently cool, the heat to be removed will be discharged fully dry through the fans. There will then be no water consumption. 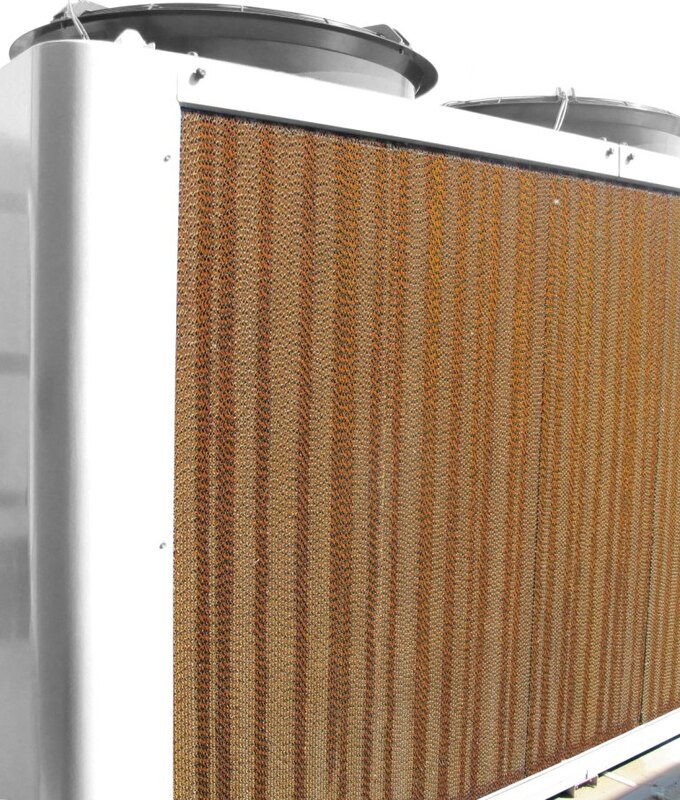 If the ambient suction air is too warm, the ambient air will be cooled at the pre-cooling panels (3) because the full volume of these panels is moistened. 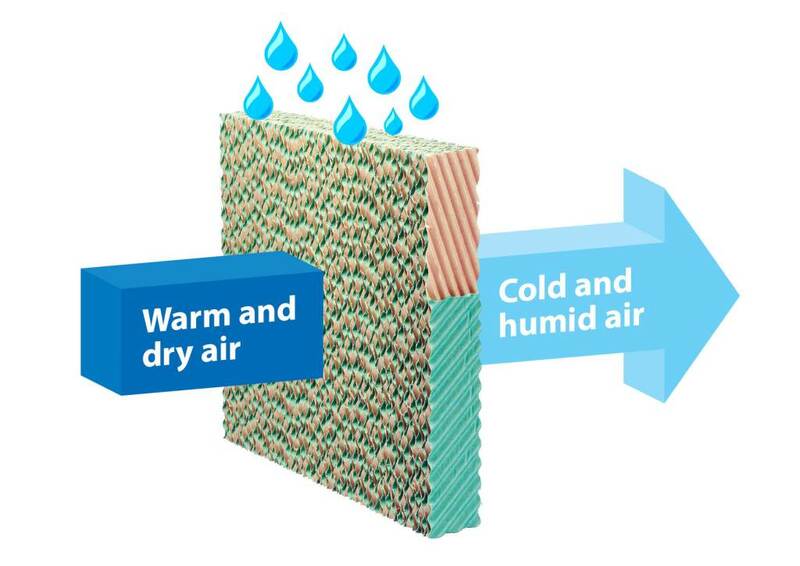 The suction air will evaporate the water supplied in the pre-cooling panels, so the temperature of the suction air will be considerable colder. 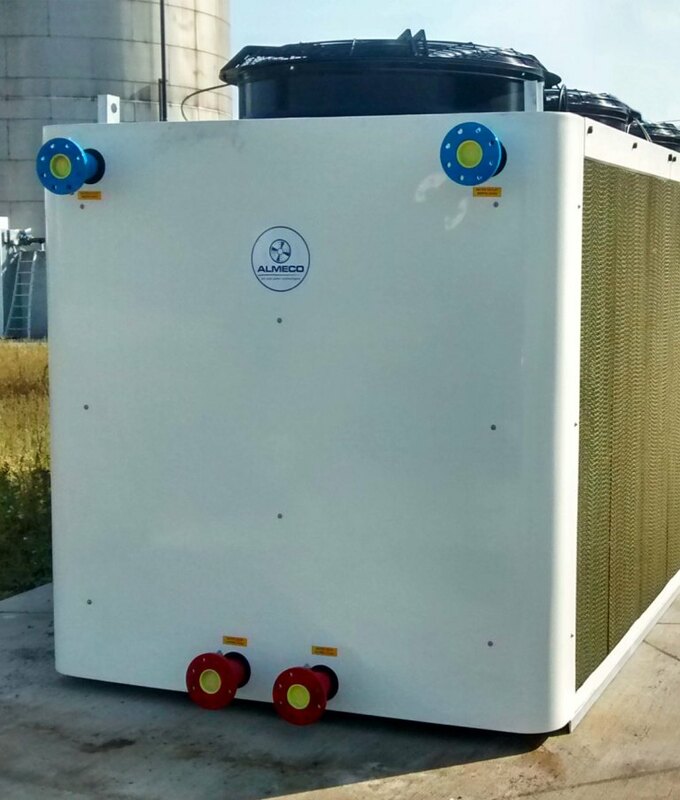 With this method, this type of adiabatic cooler can cool water/liquid to a lower temperature than the ambient temperature, while throughout the majority of the year there will be no water consumption because the heat is discharged dry. 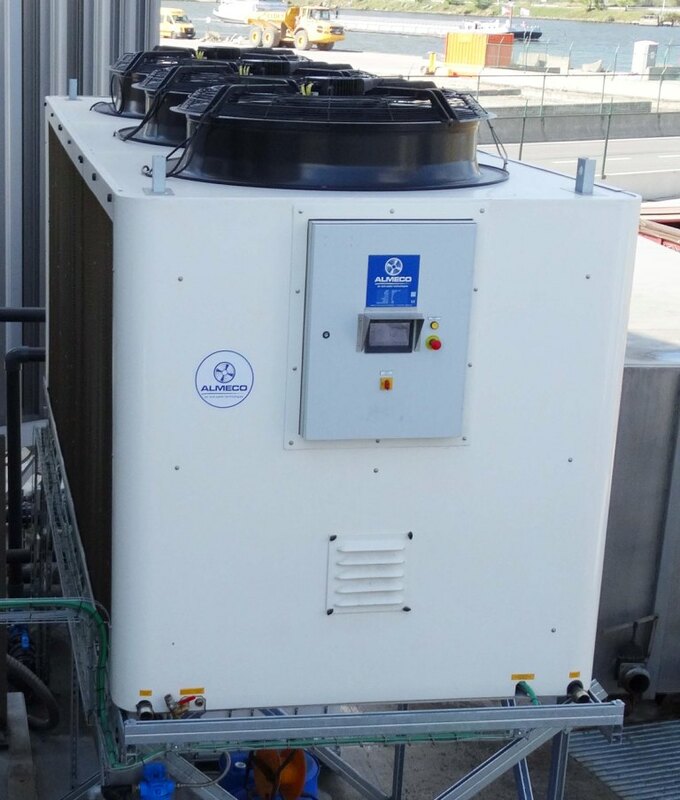 Full control of the frequency-controlled EC motor fans and control for regulating the supply of evaporation water is integrated in the appliance, together with all the necessary measuring and control sensors. There will never be a vapour cloud above the cooler. How does an adiabatic cooler work? Read all about it here!